The caboclos da Serra do Umã (civilized Indians of the Umã Hills), of the interior of the State of Pernambuco, learned how to dance the toré with their Tuxá neighbors. 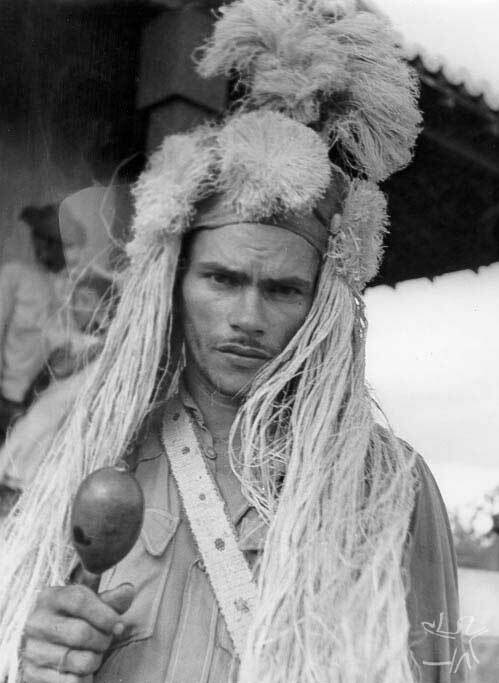 In the early 1940s, they went to Serviço de Proteção aos Índios - Service for the Protection of the Indians - (SPI), beginning the process of their official recognition as an indigenous group. The members of the Comunidade Indígena de Atikum-Umã (Indigenous Community of Atikum-Umã) call themselves Indians of the Atikum-Umã, in reference to an ancestral. Umã is said to have been "the oldest Indian" and the father of Atikum, whose descendants grew up in the village of Olho d'Água do Padre (former Olho d'Água da Gameleira). Another version for the origin of the name claims that the word Atikum appeared during a toré ritual. In terms of documented sources, the first reference to the name Atikum dates from the time of the official recognition of those Indians by the Serviço de Proteção aos Índios - Service for the Protection of the Indians - (SPI) in the second half of the 1940s. In an internal communiqué, an SPI official comments, referring to the Indigenous Post of the Umã Hills, that the post was first called Aticum, probably due to a group with which the Umans were supposed to have mixed and was called Aticum or Araticum. But, in the end of the 19th Century, in the Diccionario Chorographico, Historico e Estatistico de Pernambuco (Chorographic, Historical and Statistical Dictionary of Pernambuco), by Sebastião Galvão, Araticum was mentioned as a small locality in the municipality of Floresta. And, in 1968, Cestmir Loukotka, in his Classification of South American Indian Languages, indicated Aticum or Araticum as the extinct language of a tribe that lived near Carnaubeira, in the State of Pernambuco, that spoke only Portuguese. What is known for sure is that the correct spelling for the name of the group ended up being defined as Atikum, and that they do not establish a self-reference as Atikum-Umã Indians, but rather as Indians of the Atikum-Umã. That indicates subordination to the descent of Umã to Atikum, who formed the village (indigenous community). Today the Atikum are exclusively Portuguese-speakers, and have no memory of the lexicon of a prior language - except for very few words used for natural elements (for instance: sarapó = large, edible snake; toê = fire). Despite the fact that there is only one reference to Aticum (or Araticum) as an extinct language, and to Umã as the territorial area in which they moved about in the 19th Century, it is possible to suggest, with the support of Angyone Costa's Introdução à Arqueologia Brasileira (Introduction to Brazilian Archaeology) and of Baptista Siqueira's Os Cariris do Nordeste (The Cariri of the Northeast), that the Atikum belong to the Cariri family, although other authors mention an Umã language isolated or unknown. In the Atikum Indigenous Land there are currently twenty villages (or sítios, as the Indians prefer), among them Alto do Umã (where the Indigenous Post is located), Olho d'Água do Padre, Casa de Telha, Jatobá, Samambaia, Sabonete, Lagoa Cercada, Oiticica, Areia dos Pedros, Serra da Lagoinha, Jacaré, Bom Jesus, Baixão, Estreito, Mulungu, Boa Vista and Angico. According to the Fundação Nacional do Índio - National Foundation for the Indian - (Funai)'s "Memorial descritivo de delimitação (AI Atikum)" (Descriptive Memorial for Delimitation of the Atikum Indigenous Area), of 1989, the unit had a population of 3,582 individuals. According to the official cartography, their area is located in the regions of the Crioulas and Umã Hills, in the limits of the present-day municipality of Carnaubeira da Penha, in the sertão (interior) of the State of Pernambuco. The Indians, however, appoint the Umã Hills as their territory. With the emancipation of Carnaubeira da Penha, in October of 1991, from Floresta (to which the indigenous area, 54 kilometers from the city, used to belong), two districts were created in the new municipality, in addition to the town of Carnaubeira proper, distant 13 kilometers from the Indigenous Post: Barra do Silva and Olho d'Água do Padre. The latter is an important Atikum village inside the indigenous area, where, since the creation of the reservation, is held a Sunday market visited by non-Indians as well, who exchange products and carry out political campaign at the time of elections. Posseiros (illegal settlers) and farmers are constantly in the Atikum area. In the Umã Hills clay soils prevail, in contrast with the sandy soils that characterize the area that surround it. The vegetation of the hills is mostly made up of bushes, with occasional stretches were larger trees are found. There are many capoeiras (open fields). Local animals include hawks, owls, lizards, armadillos, skunks, snakes, cavies, anteaters, peccaries and guans. With the exception of the first two, these animals are frequently hunted - with the aid of dogs and shotguns - by the inhabitants of the area. Chicken, goats, cattle, sheep and pigs are raised domestically. Dogs are generally used for guarding the houses. Umbu (hog plum) and passion fruit are the most common wild fruits. Planted fruits are the following (in order of importance): bananas, mango, cashew, papaya, pinha (the fruit of the sugar apple tree), guava, jack, coconut, oranges and limes. Honey production is significant. Because agriculture is the basis of the Atikum economy, roças (planting fields) of cassava, maize, beans, rice, castor bean and cotton are common in the Umã Hills. In addition, marijuana (Cannabis sativa) is widely planted too - although not always by the Atikum -, since the hills, as well as the municipalities of Carnaubeira da Penha and Floresta, are part of the so-called "Marijuana Polygon", which comprises several municipalities of the interior of the State of Pernambuco. Atikum houses are built of adobe or bricks; a few are made of straw. Starting at the turn of the 17th Century to the 18th Century, this geographic region was the scenery for many confrontations between Indians and colonists who increasingly entered their lands, pushing the cattle-raising frontier westward. Although there are no references to an indigenous group named Atikum before the 1940s, there are many to one called Umã, which was aldeado (put in villages), along with the Xocó, Vouve and Pipipã groups, in 1802 by the friar Vital de Frescarolo, in the place where one of the present-day villages of the Indigenous Land is located. Such aldeamento did not last very long, and the Indians continued to roam through the interior of the Northeast Region, from Ceará to Sergipe, always avoiding cattle trails. In addition to the groups mentioned above, many Indians intermixed - and mixed with quilombola blacks (from communities of runaway slaves) - in such displacements. Mentions to the Umã are the following: around 1696, they were seen in the São Francisco River valley; in 1713, they were on the banks of the Pajeú; in 1746, between the rivers Ipanema and São Francisco, in Alagoas; in 1759, in Sergipe; in 1801, they were aldeados in Olho d'Água da Gameleira (where the present-day village Olho d'Água do Padre, on the Umã Hills, is located), which they left in 1819; in 1838, they were found near Jardim, in Ceará; in 1844, they were again close to the former aldeamento, more specifically in Baixa Verde. 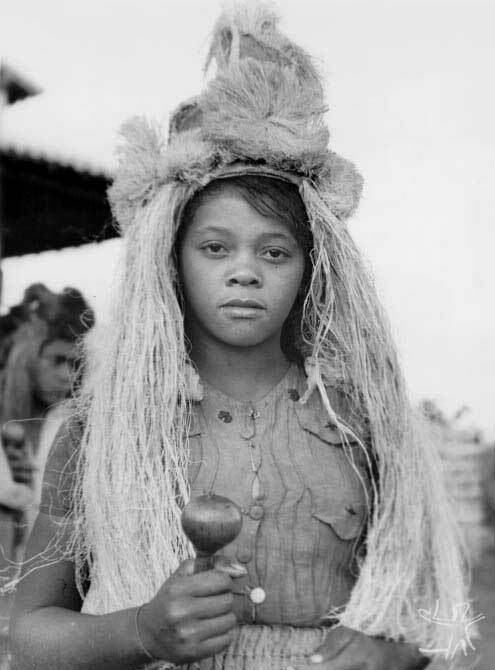 While aldeado, the Umã group - called by many different forms at the time, such as Huanoi, Huamoi, Huamães, Huamué, Humons, Umã, Umães, Uman, Umãos, Urumã, Woyana - had to live alongside the Xocó and Vouvê. These three groups have always maintained themselves close to the Pipipãs. On the other hand, it is know that in 1852 there were still "índios bravios" (wild Indians) in the Umã Hills or in the vicinity. But in the mid-19th Century all information regarding these Indians ceased. The next information about them is from 1943, when the Atikum requested the SPI for the recognition of their lands. On a study made on the occasion of the 50th anniversary of the city of Floresta, Alvaro Ferraz (1957) mentions the existence in the area of hills that had been settled by blacks since the slavery period: "Such phenomenon can be observed in the Umã and Crioulos Hills. In the Umã, they mixed freely with the indigenous group that lived there, which can be easily seen through the analysis of the human types of the Atikum-Umã village at the top of the hills". Such miscegenation caused this "tribe" to become known as "the blacks of the Umã Hills". Thus one may conclude that the population that ended up settling permanently in the Umã Hills was formed by groups (Indians, blacks and whites) with different traditions and cultures. In the beginning of the 1940s, the members of the peasant community that lived in the hills identified themselves as "caboclos of the Umã Hills". At the time, they were discontent with the Floresta city administration, which taxed the land in which they planted, and with the fact that neighboring landowners would take cattle to their roças. Informed by Tuxá Indians (from the municipality of Rodelas, in the State of Bahia) that there was an organ of the federal government that recognized indigenous territories in the Northeast Region, some caboclos went to the SPI office in Recife, claiming to descend from Indians and demanding the creation of an indigenous reservation for them. As a condition to recognize them, the SPI imposed the demonstration of a toré ritual, a tradition that, in the eyes of the inspector, would attest the caboclos' "ethnic consciousness". Unprepared for an exhibition of that ritual tradition, the caboclos asked for help from the Tuxá, who sent eight Indians to the hills to "teach" the caboclos the toré. In 1945, an inspector of the SPI came to the hills, witnessed a toré ritual be performed and thus attested the Indian presence there. In 1949, the Indigenous Post was created, and the caboclos were officially recognized as Indians by the State. Today, the toré continues to be used as a diacritical sign in the maintenance of the Atikum ethnicity, which pragmatically gives them the right of access to their land. Once they "learned" the toré, the Atikum became increasingly specialized in that ritual practice. They constituted a body of knowledge they call "ciência do índio" (Indian science), surrounded by an aura of mystery, which is supposed to mark their specificity as an ethnic group. This body of knowledge is dynamic and its components mutable, because new elements can appear during the rituals and are incorporated by the practitioners. But since the body of knowledge is fluid, there must exist something to ensure the ritual performance that marks their "Indianness", that is, that periodically confirms the condition of Indians via-à-vis the expectations of the State. Thus it is necessary to exist a "regime de índio" (Indian regime). It is necessary that the members of the group are "regimados no toré" (regimed in the toré), independently of being holders of deeper knowledge, in order for the group to show itself, in an essentially political way, as the "indigenous community of Atikum-Umã". (cf: Grünewald, 1993). This brings one to the question of who is really considered Indians of Atikum-Umã by the Atikum themselves. Are considered Indians those who take part in the toré tradition, and are preferably "regimed" in it, thus becoming a holder of the "Indian science", here understood as a body of dynamic knowledge on which the "secret of the tribe" is based upon (cf: Grünewald, 1993). In all this ritual tradition, a special place is occupied by the jurema (Mimosa hostilis Benth) - sacred plant which, used by the Indians, marks the difference between Indians and non-Indians, although its use is common in other ritual complexes of the interior of the Northeast Region, such as the catimbó, for instance. The Atikum use the bark of the jurema root, smashed and mixed with water, as a sacred beverage called anjucá, which represents Jesus' blood and is consumed especially during their rituals (public or private torés), when the Indians get in contact - often through possession - with the "enchantments of light". The compadrio system (the special relationship between the godfather of a child and that child's father) that operates in the Umã Hills, superimposing itself over kinship, seems to provide, more than the ethnic ties, the most important element of union among the inhabitants of the hills, even though it often extrapolates the limits of the ethnic frontier. The Atikum political organization is made up - by imposition of the tutoring organ (first the SPI and then the Funai) - of a cacique, or chief (the role of representative of the community in its dealings with the national society, in addition to internal counseling), a pajé, or shaman (who takes care of the Indians' health) and representatives of the villages, who form the tribal leadership. All holders of these posts should be chosen in elections, but factionalism has caused the permanence in the leadership positions of those who have coercive power, in special marijuana producers. The texts that deal specifically with this ethnic group are all by Rodrigo de Azeredo Grünewald: his Master's thesis, "'Regime de Índio' e faccionalismo" defended in the Museu Nacional in 1993; the article "A tradição como pedra de toque da etnicidade", published in the Anuário Antropológico/96; two chapters, "Apresentando: Índios e Negros na Serra do Umã" and "Etnogênese e 'Regime de Índio' na Serra do Umã", in books to be published soon; the article "A Jurema no 'Regime de Índio': O caso Atikum", which will be published by the Fundação Joaquim Nabuco; and the paper "A Jurema e o 'Regime de Índio' Atikum", presented in the I Encontro de Estudos sobre Rituais Religiosos e Sociais e o Uso de Plantas Psicoativas (I Meeting of Studies of Religious and Social Rituals and the Use of Psychoactive Plants), part of the international seminar "O Uso e o Abuso de Drogas" (Drug Use and Abuse), held at the Universidade Federal da Bahia. Preliminary information from forty years ago can be found in Hohenthal Jr.'s survey "As tribos indígenas do médio e baixo São Francisco". COSTA, Angyone. Introdução à arqueologia brasileira. São Paulo : Companhia Editora Nacional, 1980. FERRAZ, Alvaro. Floresta : memória de uma cidade sertaneja no seu cinqüentenário. Cadernos de Pernambuco, Recife : Secretaria de Educação e Cultura, n. 8, 1957. GALVÃO, Sebastião de V. Diccionario Chorographico, histórico e estatístico de Pernambuco. Recife : s.ed., 1897. --------. A jurema no “regime de índio” : o caso Atikum. In: MOTA, Clarice Novaes da; ALBUQUERQUE, Ulysses Paulino de (Orgs.). As muitas faces da Jurema : de espécie botânica a divindade afro-indígena. Recife : Bagaço, 2002. p.97-124. --------. A tradição como pedra de toque da etnicidade. Anuário Antropológico, Rio de Janeiro : Tempo Brasileiro, n. 96, p. 113-25, 1997. HOHENTHAL JÚNIOR, W. D. As tribos indígenas do Médio e Baixo São Francisco. Rev. do Museu Paulista, São Paulo : Museu Paulista, n. 12, 1960. LOUKOTKA, Cestmir. Classification of South American indian languages. Los Angeles : University of California, 1968. SIQUEIRA, Baptista. Os Cariris do Nordeste. Rio de Janeiro : Cátedra, 1978. This page was last edited on 26 March 2018, at 16:51.